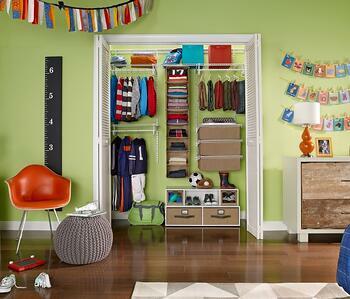 Welcoming a baby is a special and joyous occasion, and nursery room preparation should be an exciting task. We’ve collected five tips to help make your nursery room a welcoming space for your new bundle of joy. If you’re waiting to find out the gender of your little one, but still excited to decorate, there are a lot of new gender-neutral styles. 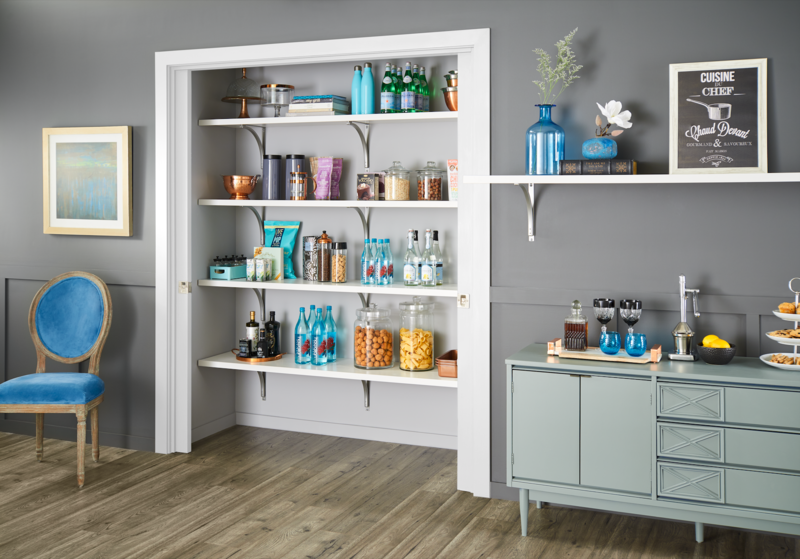 Consider calming soft browns or soothing grays with complementary pastels. According to Parenting.com, too many toys can be overwhelming and distracting for babies and toddlers. Instead, stick with a few staples like soft crinkly toys, teethers, rattles or stuffed animals, and store the rest in soft fabric drawers to retrieve as they grow. Make late night feedings easier by having everything you need right at your fingertips. 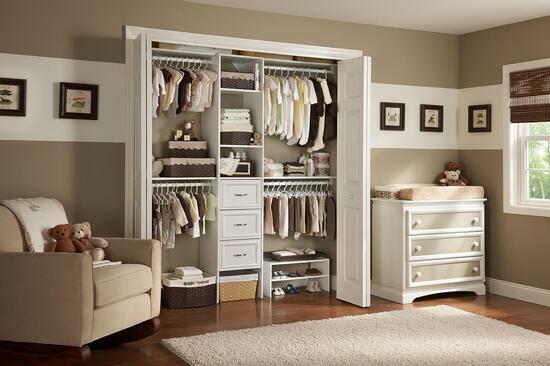 Stock organizers by the crib or changing table with back-up linens, diapers, pacifiers and more. When designing the nursery, keep in mind that your little one will grow in the blink of an eye. 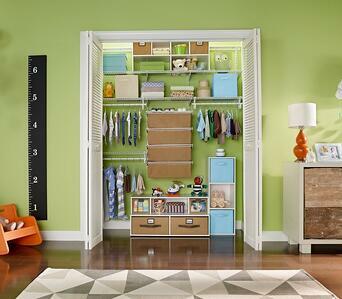 Install a closet system like ShelfTrack with accessories and shelving that can be adjusted to fit your child’s growing storage needs. 5.) Don’t forget to decorate! You will probably spend as much time in the nursery room as the baby, so why not fill it with decorations you adore too? Make a tranquil, relaxing space like blogger FOXY OXIE with natural light and stylish accents. Or include something meaningful, such as framed family photos or a precious heirloom. 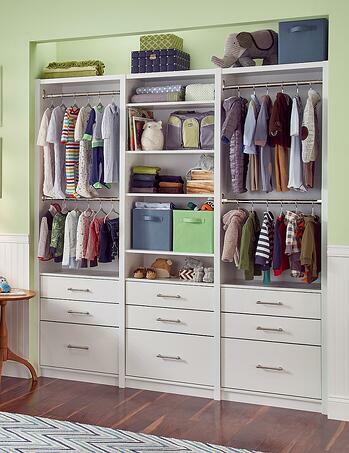 Need more nursery room storage ideas? 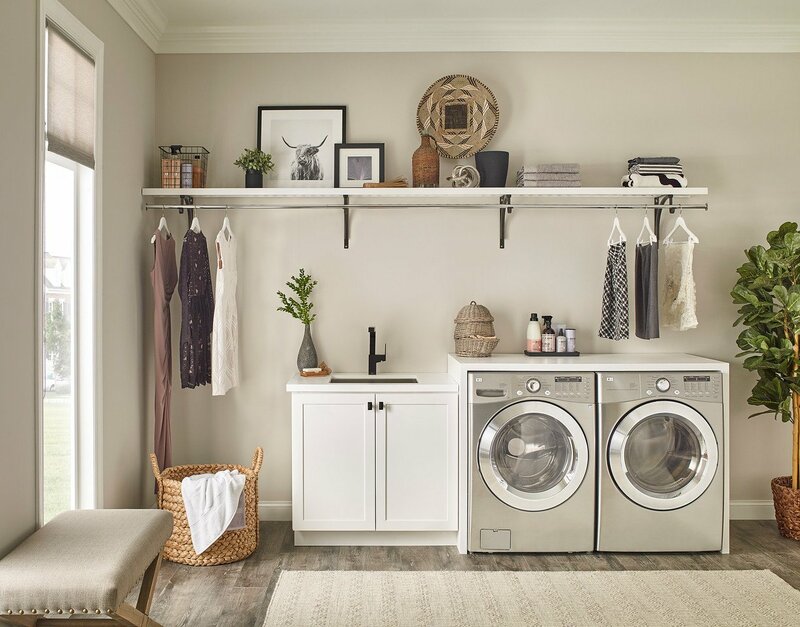 Be sure to visit ClosetMaid.com, and check out all of our other channels for more lifestyle and organization tips: Facebook, Twitter, Instagram, Pinterest, YouTube, Houzz and Flickr. 0 Comments on "5 Tips for Nursery Room Preparation"